I am happily working on this Bunny Rug. 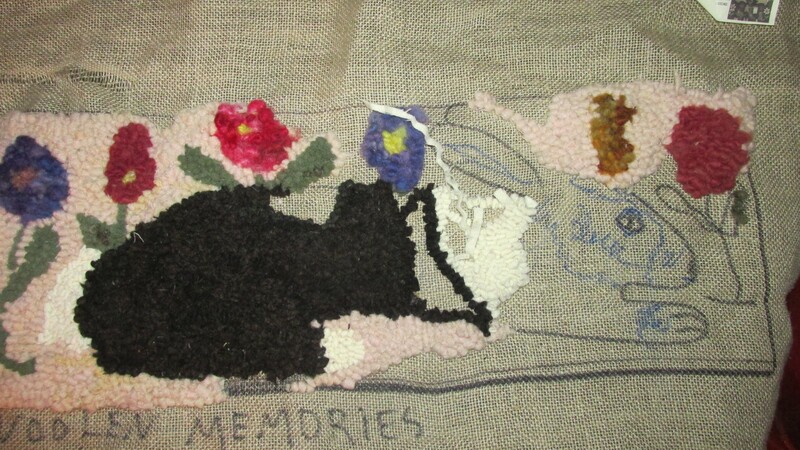 The pink background is the woolen blanket I used in the quilt. I am cutting it rather thin and its working out well. I have changed the pattern a little. The pattern is from Woolen Memories a great place to get wool and patterns. I have a surprise for my students today. I am bringing my Mother Marion Wheel in for they to use. I love this little wheel, you can pack it up and take it everywhere. Its perfectly balanced and each one was made out of wood from the Ozarks. This one is solid cherry. 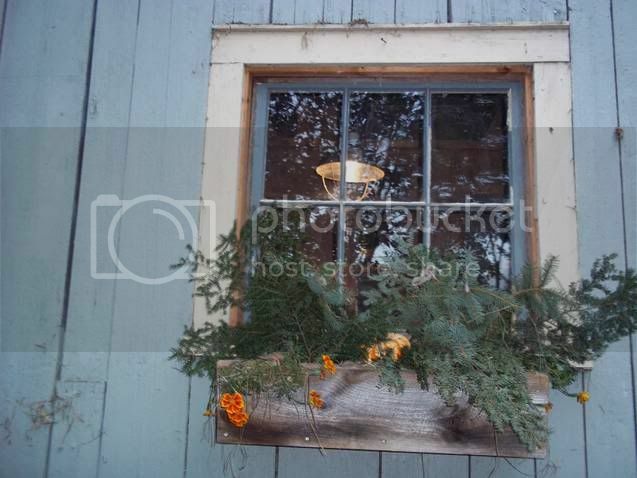 The wood has aged quite nicely. Years ago I was lucky enough to attend SOAR (a retreat for spinners sponsored by Spin Off Magazine) which was in Wyoming that year. I signed up for 3 classes one of was Drop Spindle Spinning with Deb Robson. 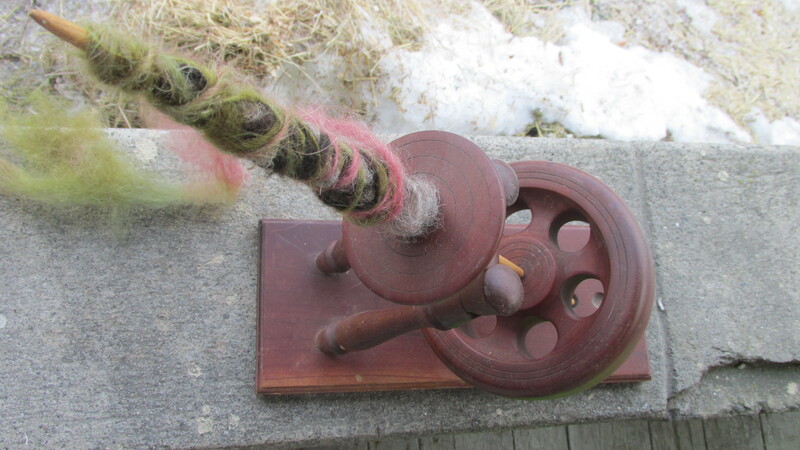 We tried lots of spindle and one gal had this wheel. I fell in love with it. The ease of spinning and the ease of taking it with me anywhere. I contacted the maker and soon was selling them. They were a sell out at every show. He retired some years ago and so far I have not found anyone to make them for me. I am still looking because they are such a good thing for spinners. At that time they were so affordable. Spinning wheels run now from the high 400’s into 1000 dollars. It’s out of reach for many. Always good to have a low tech, low-cost version. This wheel can be used on the floor or tabletop, and spins sort of like a great wheel. I know they will have fun with it.